Does your horse wolf down his food? Here is an easy tip to use for that aggressive eater. Developed for a very angry eater and would throw his food bucket all over the stall. We never knew how much he was eating or what supplements he was getting until I started this idea. It also doubles as a toy for the younger horses and ponies. height of the bucket is very important to me. I wanted at a natural level so that they don't have to work so hard to get their food. 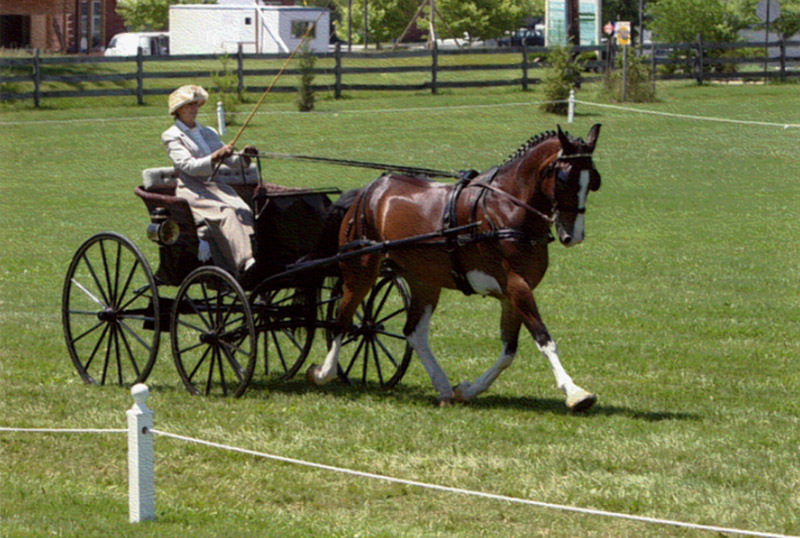 Too low gets them in trouble, too high with unnecessary extension on the delicate ligaments in their head and Neck, especially in younger horses. Note that the middle clasps on the side of the bucket are taped and I do not use double and snaps for hangers because I don't want anything touching and eye or an eyelid. What about the fear of strangulation? Pony is badley affected throughout spring and summer. Mint seems to help, any other suggestions? Spanish Moss for a horse? A carriage ride through the historic neighborhood...there is a lot of miss on the ground and I saw a horse with a big clump of miss in his mouth chewing on it. Is this ok for rhe horse to digest? Thx! This method of feeding will also prevent a cribber from using his feed tub to crib on since it isn't stationary.